Airports can be seen as stressful environments, with busy terminals, long Transportation Security Administration lines and crowded gate seating areas. Passengers continue to demand services that help create a better travel experience and airports are listening by bringing spa services to their terminals. As a result, travelers can now use their flight layover time to treat themselves to some relaxation for services ranging from manicures to massages. A visit to a spa can be a solid alternative to sitting in a food court, a crowded gate area or even an airline lounge. Below are 10 spas from around the world-- along with the services they offer -- you might want to consider on your next trip to the airport. Formed in 2003, XpresSpa now has 56 airport locations in the United States and Europe. It was created to help de-stress and pamper busy travelers with spa services including full body massages, neck and back massages, manicures, pedicures, facials​ and hairstyling. And if you're a regular visitor, you can join XpresSpa's free membership rewards club and save on spa services. This company has two outlets at Newark Liberty International Airport's Terminal C near Gates C70-99 and C101-115. Passengers have access to services including manicures, pedicures, massages, haircuts and colors and facials for men and women. This day spa, founded in 2004 at Indianapolis International Airport, has outlets near Gate B6 and A14. The larger spa at Gate B6 offers services including natural-nail manicures and pedicures, full-body, chair and foot massages, aromatherapy and cosmetic services. The satellite spa at Gate A14 offers chair and foot massage. The company has spas in airports in North America, Europe, Asia and the Middle East. In North America, you can find outlets at Baltimore-Washington International, Boston-Logan, Detroit Metro, JFK, San Diego, Washington Dulles and Toronto-Pearson airports. Beauty services include manicures, pedicures, facials, waxing and hair care. It also offers chair and table massages, along with oxygen aromatherapy. This spa has outlets in Seattle-Tacoma International Airport, Nashville International Airport, Pittsburgh International Airport and Ohio's Port Columbus International Airport. If you're in a hurry, the spa offers a 15-minute single shot or 30-minute double shot fully clothed massages, along with seated and foot massages. With any massage, customers can add the spa's signature Heat Therapy in 10-minute increments, featuring a warm flax seed wrap on the neck and shoulders and an eye pillow for tired eyes. Let's say you have some time to kill at Dallas/Fort Worth International Airport and you're located in Terminal D. Then take some time and check out the SkySPA at the Grand Hyatt DFW, attached to Terminal D and a favorite airport hotel. Services include massages, facials and body treatments. You also have access to the spa's 24-hour fitness center and saline pool. The spa is located at Calgary International Airport's Banff Hall on the departures level pre-security. Services available include reflexology, manicures, pedicures, massages, facials, waxing, eyebrow waxing and threading and body exfoliation. It also features oxygen treatments. This spa, connected to the famous Fairmont Vancouver Airport, is located above the USA-Canada transborder area of the terminal, reachable via a skybridge. Services available include manicures, pedicures, make-up consultations and access to a mechanized lap pool, saunas, fitness equipment and a relaxation lounge that serves tea. Air France's best customers have access to this lounge, located in Paris Charles de Gaulle Airport in Terminal 2E, across from Gate 14. Once inside, travelers have access to the Biologique Recherche spa, which offers personalized spa treatments including facials and body treatments. if you have time, you can also take the two-hour deluxe La Première treatment. Also enjoy food created by Michelin-starred Chef Alain Ducasse, along with wines, cocktails, and snacks. Those lucky enough to fly in first or business class on Abu Dhabi-based Etihad Airways have access to outlets of its Six Senses Spa in Terminals 1 and 3 at Abu Dhabi International Airport. 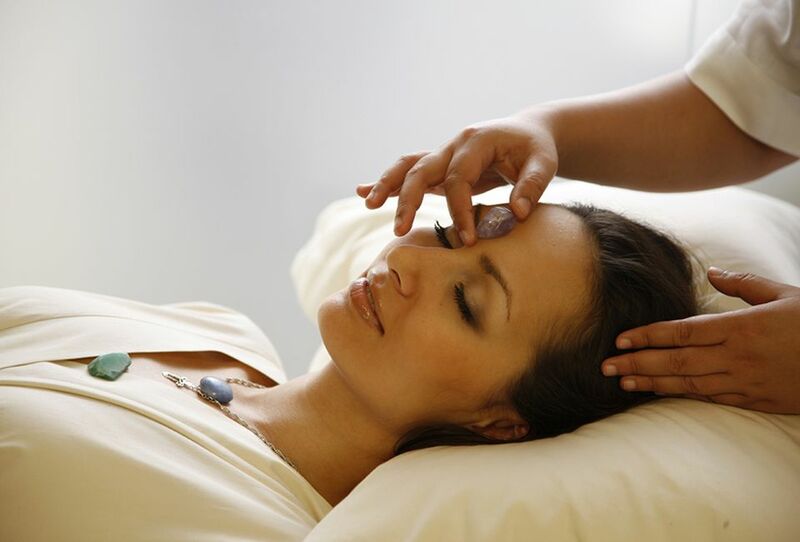 The spa offers reasonably priced 15 and 25-minute massages, body treatments, and facials. These airports have installed power outlets to charge our electronics. We look at 11 terminals with great gourmet food choices. A long layover doesn't have to be a bad thing in these 10 airports. Feel like a first class traveler on your next flight with these 10 items. Fly Through One of the Top 13 Airports in the Midwest U.S.
Travelers can order, pick up food from airport eateries with Grab app.